Genesis 1 | Let their light shine! Song to sing – ‘Twinkle, twinkle little star’ (of course! ), ‘My God is so big, so strong and so mighty’. This was our craft .. cup cake cases cut into clouds (beforehand – older children could do this themselves), cotton wool clouds, shiny paper sun rays and a bit of glitter glue. The sun was cut out using a paper punch. 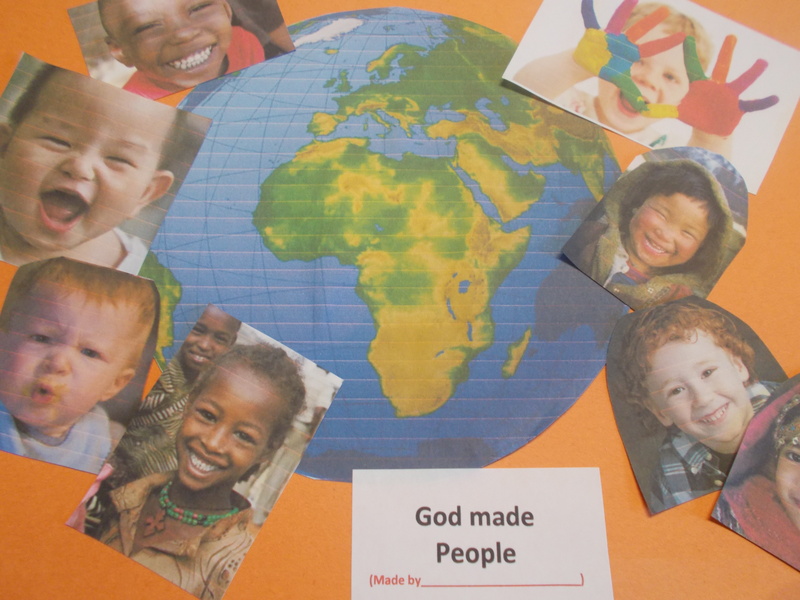 When we tell the story of creation to children there are a few things that can help us. First the order of everything is significant. Everything was made in the right order for life to be sustained. (You would of course explain that more simply 🙂 ). The food was made before the animals who were going to eat it. The sea before the fish that needed to swim in it. When people were made the world was ready for them. 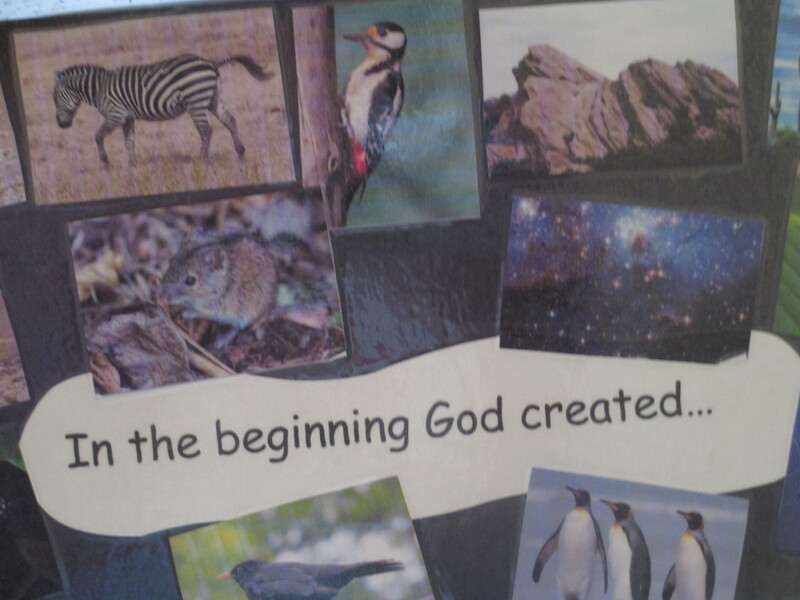 For older children who will be learning that creation is a myth/fairy story it’s useful for us to be able to point them towards creation apologetics. They need to make their own minds up – we can give them information so that they are informed. Answers in Genesis Kids is a good resource for this. 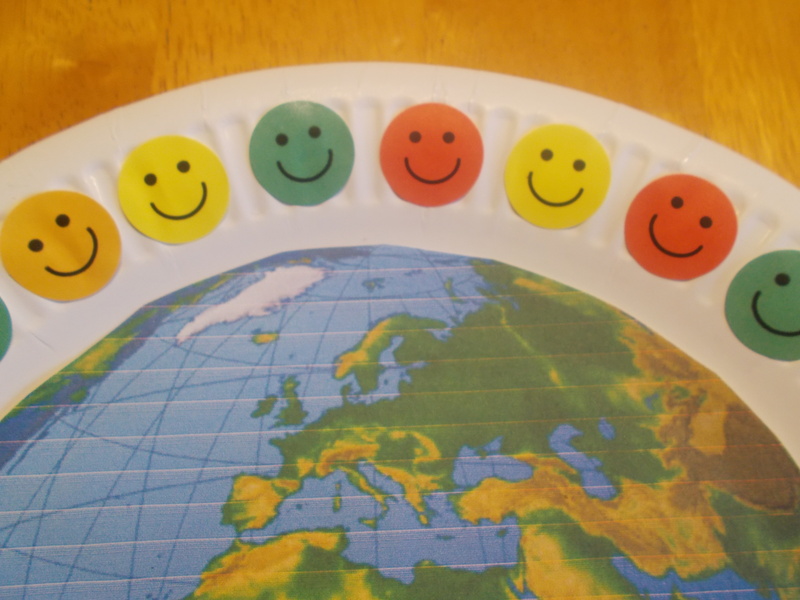 paper plate creation – I’ve used this to tell the story of creation. 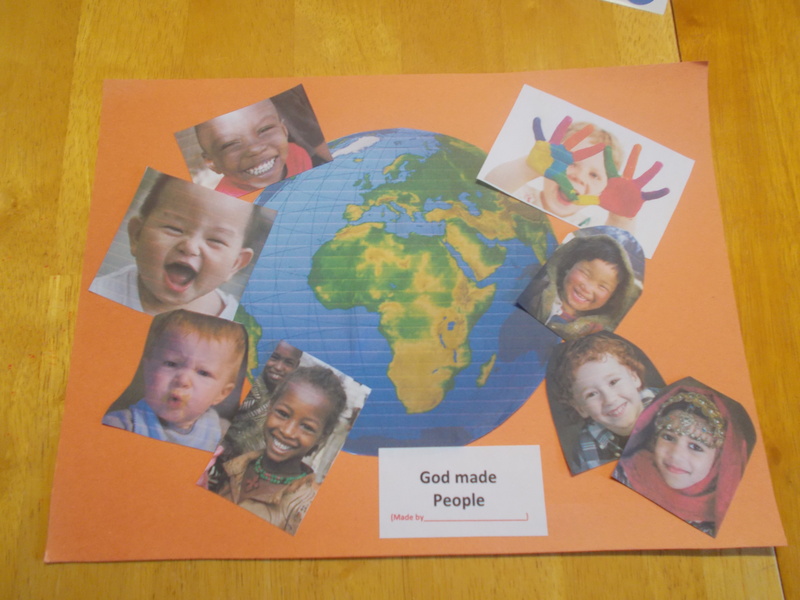 We made a collage of people surrounding a world map when we did the story of God making people from Genesis 1. 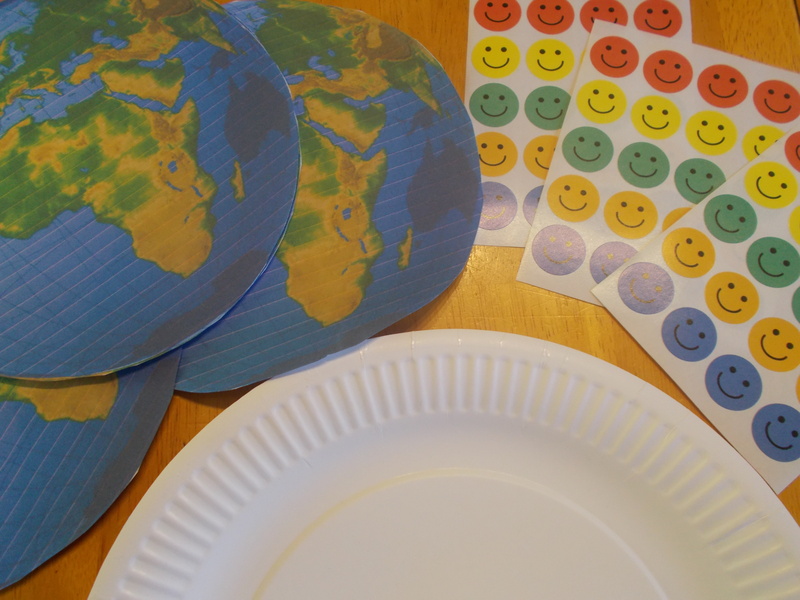 The paper plate globe is a different version of the same idea – this time stickers are used to decorate the paper plate rim. 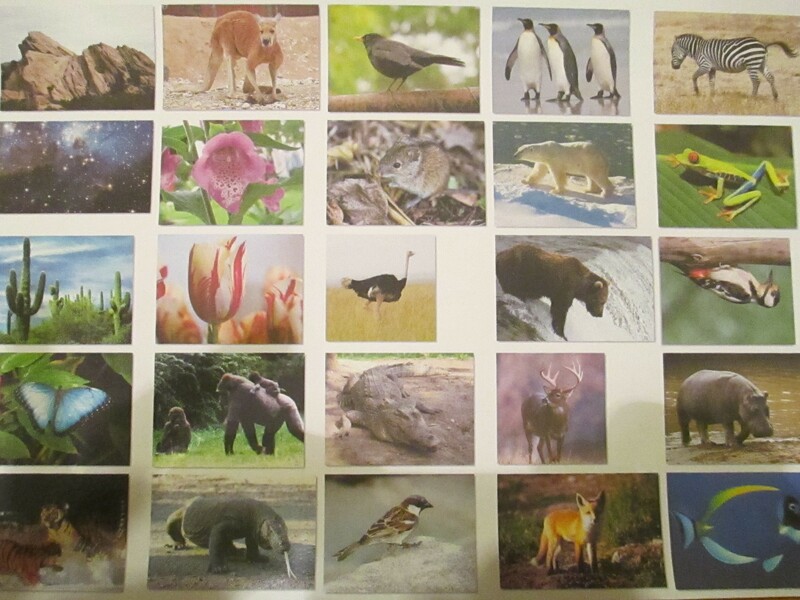 The pictures of people were downloaded and printed but you could use pictures from magazines and catalogues. 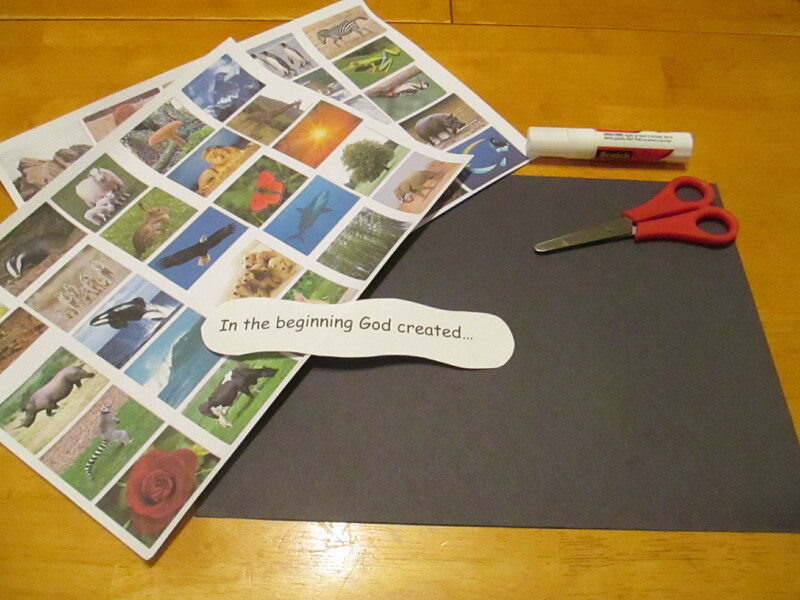 Make a ‘creation celebration’ placemat. 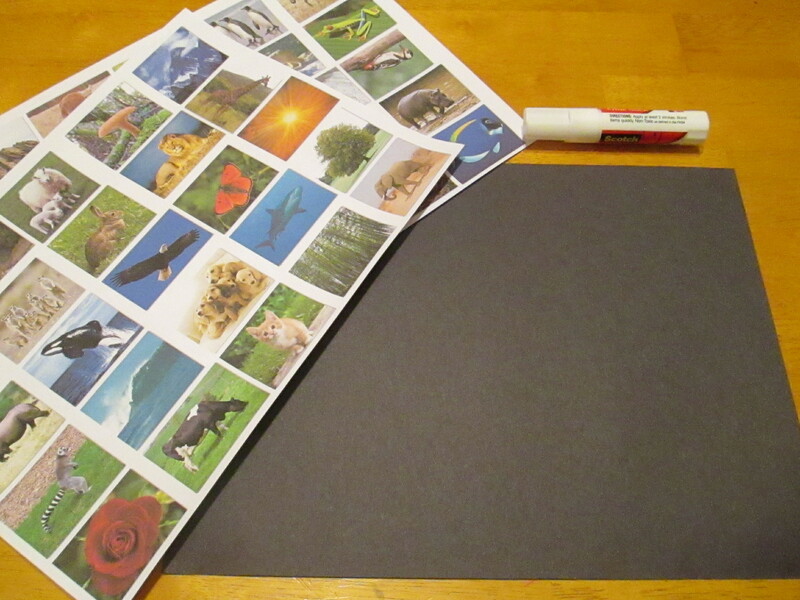 Glue to the black paper (you could use any colour but make sure the pictures stand out. 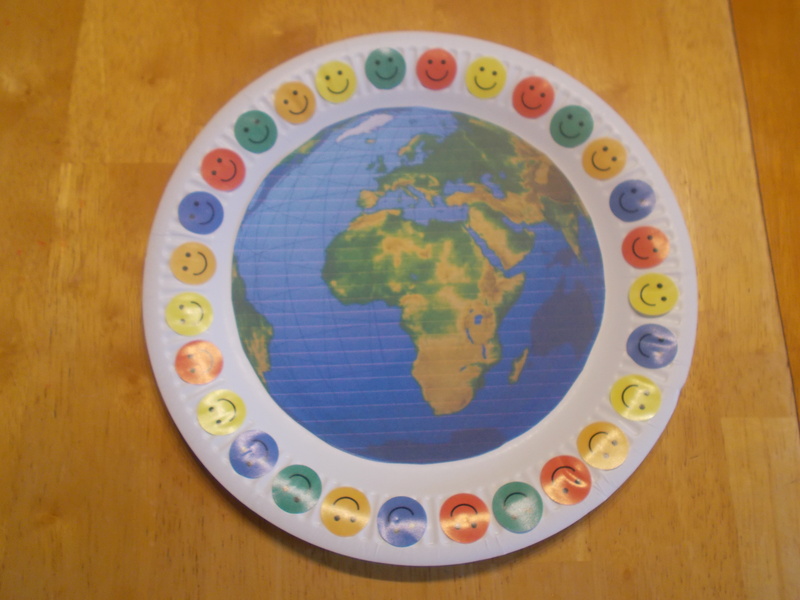 later an adult laminates each place mat. They will be spill proof to a point but not heat proof. Make sure everyone remembers to put there name on their creation before handing them in to be laminated.